Economic forecasts paint a dreary picture for the auto industry heading into 2018. Since auto sales peaked at an annual rate of 18 million units in December 2016, there has been a steady decline in 2017 except for a temporary boost to sales from Harvey and Irma in September. However, this overall downward trending does not bode well for auto sales in the coming year. Demographic analysis suggests that, right now, baby boomers are the segment of the population most receptive to the idea of luxury marketing. They control 70% of disposable income in the U.S., and because they’re not retiring at traditional ages, they’re living as empty nesters for longer periods of time. Fixed incomes after 65 are no longer typical. That, coupled with the fact that their wages have remained higher than at any point in history, means that they’ve had the opportunity to amass wealth and, therefore, discretionarily spend more effectively than any other demographic. Even if they’re not purchasing luxury vehicles, they’re open to and able to afford premium upgrades. 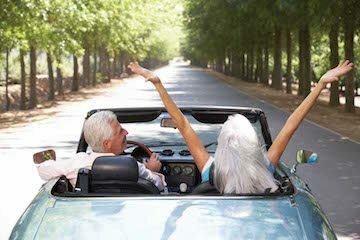 There are also cultural components as to why baby boomers represent an effective target for automakers. For this generation, a car remains a keystone of status, as opposed to millennials whose associations have more of an impact on status than the cost of an item. For example, a millennial who can afford a luxury car may be just as likely to purchase a Prius because of what it says about their social affiliations.